A record 100 oil tankers were scrapped this year, according to data from Clarkson Research Services Ltd. In capacity terms, it was the highest scrapping level since 1985. The data covers VLCC, Aframax and Suezmax vessels. 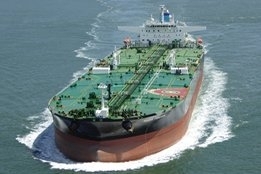 Analysis from Bloomberg suggested owners had been well justified in junking their vessels, as after the first three quarters of the year the segment looked set for its worse average earnings in at least 30 years. But those same owners also missed out on an unexpected earnings spike at the end of the year. Not only did bunkers prices fall, rates jumped more than threefold over Q4 thanks to a number of shifts in the market including sanctions on Iran and an increase in shipments from the US.